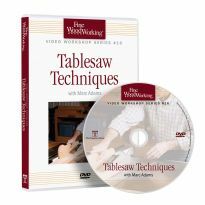 Whatever your skill level, this DVD will offer new insight into the centerpiece of your workshop—the table saw. 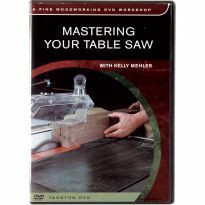 In this DVD, you'll learn to safely and confidently operate the most important tool in your workshop: the table saw. Everything is covered, from fundamental everyday cuts like ripping and crosscutting to more advanced techniques like joinery. 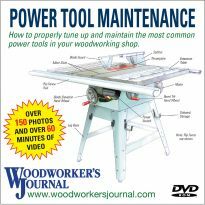 You'll also discover how jigs can add versatility, safety and accuracy to your table saw. 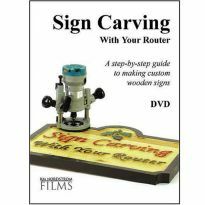 Whether you're an expert or rookie, this DVD will teach you how to get the most out of this incredibly versatile machine. 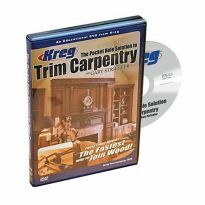 And to make this DVD even more useful, our experts will take what they've just taught you and put those techniques to work building a classic Arts and Crafts Nightstand made entirely on the table saw. This project lets you apply advanced techniques such as building a raised panel door and a drawer with beautiful exposed joinery. 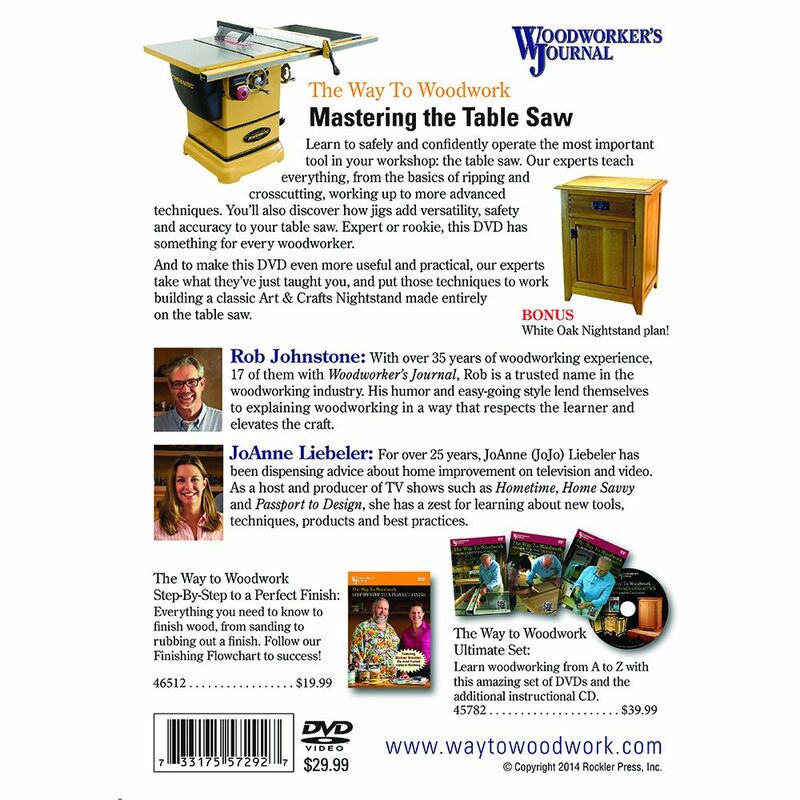 The DVD is a great overview of the operation of a table saw. 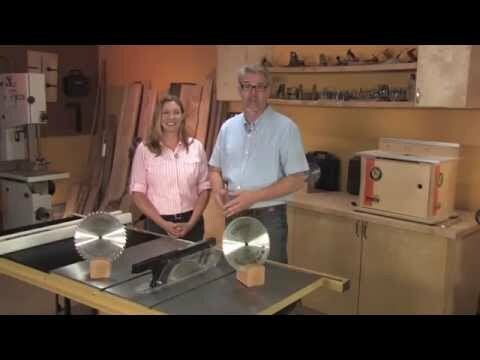 The hosts discuss and show advanced techniques in an overview of what you can do with the table saw. It will provide definition of table saw termology, safety tips, the proper use and operation of a table saw with a demonstration of some advanced techniques. 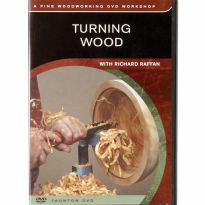 I feel that this DVD focus is toward someone who is new and beginners on the table saw. 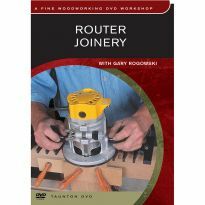 This DVD is a good tool for a someone starting out in woodworking. It's got basic information about the styles of table saws and how to use them safely. 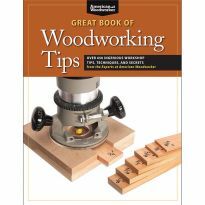 While Christopher does have a point that you can get the same information from reading your table saw manual (highly recommended long before you make your first cut! ), some folks get more from "seeing" something rather than just reading about it. 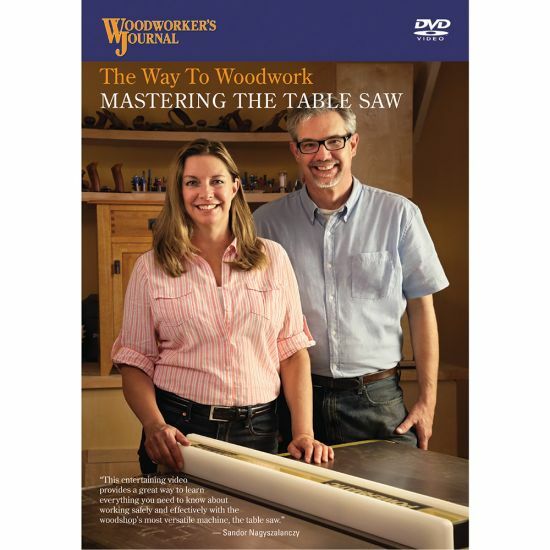 I could recommend this video (wait for it to go on sale) to someone just starting out, but if you have any amount of experience using a table saw, I would pass this one by. Good for a first time table saw user. Good for a first time user. Was hoping for more than what it contained. If you know more than how to turn on a table saw then there is a little to be learned here. I'm no whiz at woodworking but it was too basic for me. Too basic to be of any value. Sounded like good information for someone not that familiar with table saws. To help my son learn how to operate a table saw in building furniture pieces. My husband saw it and was very interested so getting it for his birthday. Again, any help I can get will be good. I just got my first table saw and I want to be able to use it to it's full potential. I wanted a small carp. saw. But they didn't have any so they traded me up to the next thing they had which was a 52" Cab. maker's saw, 230 HP, StopSaw with 2 52 inch roll out tables. Far beyond anything I know - but I want to know. Tired of reading the books which I don't understand 1/2 the time. Picked up lots of handy tricks with this DVD. 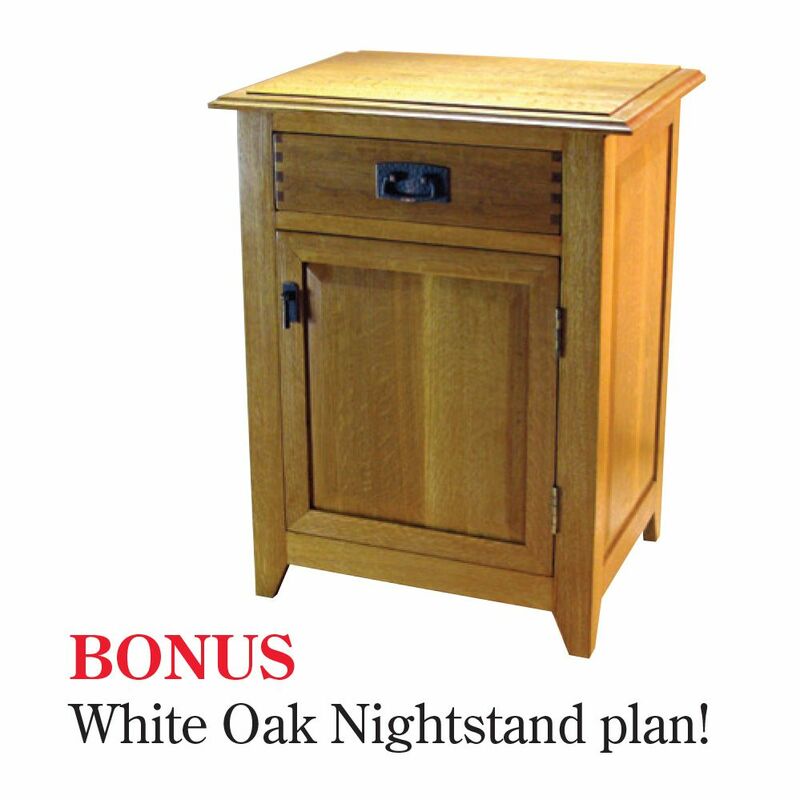 May I purchase plans for the Arts & Crafts Nightstand without having to purchase the DVD?